October 1978, and a quirky end to the season, with the Americans in England for a pair of Indycar races, and the F1 brigade also crossing the Atlantic, for the United States and Canadian Grands Prix. Variety being the spice, I chose to skip Watkins Glen and Montreal, and instead covered the races at Silverstone and Brands Hatch, won, respectively, by AJ Foyt and Rick Mears. Thus, I missed Gilles Villeneuve's first grand prix victory (in Canada), and called to offer congratulations when he got back to Europe. Gilles being Gilles, he wanted to know all about the Indycar races, and at one point I mentioned that Tom Sneva was the new USAC Champion. How many races had he won? Well, er, none, actually...A snort of derision from the other end. Al Unser, I said, had won all three 500-milers (including Indy), but still come up short on points. Villeneuve was incredulous. "Jesus Christ, what kind of a championship is that? How can a guy feel happy about winning a title without winning any races? "Evidently, Roger Penske felt the same way. Within weeks, he had fired his new champion. 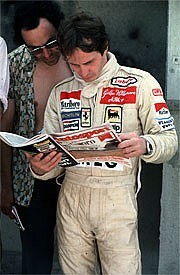 That chat with Gilles always stuck in my mind, for it said everything about him. Even 30 years ago, he was an old-fashioned racing driver, in the sense that he never looked too far ahead, and championships - perhaps decided in October, months away - didn't do it for him. Racing meant winning! Now! Today! "How the hell," he said to me once, "can you drive a race car, fight with people - and think all the time about points for a bloody championship? How can you settle for a 'safe' third place or something, because it's four points...? Jesus, people like that should be accountants, not racing drivers..."
How much could a world championship mean, anyway, he would say, when a man like Ronnie Peterson never won it? Remembering Gilles now, 25 years after his death, what strikes me, above all, is how much of a maverick he was. This is not to suggest he was unsociable - on the contrary, he was the friendliest of men - but certainly he went his own way. When he raced at home, in Formula Atlantic, he would pass up hotels, instead living in his motorhome; when he came to Europe, beginning life as an F1 driver, he shipped it over. 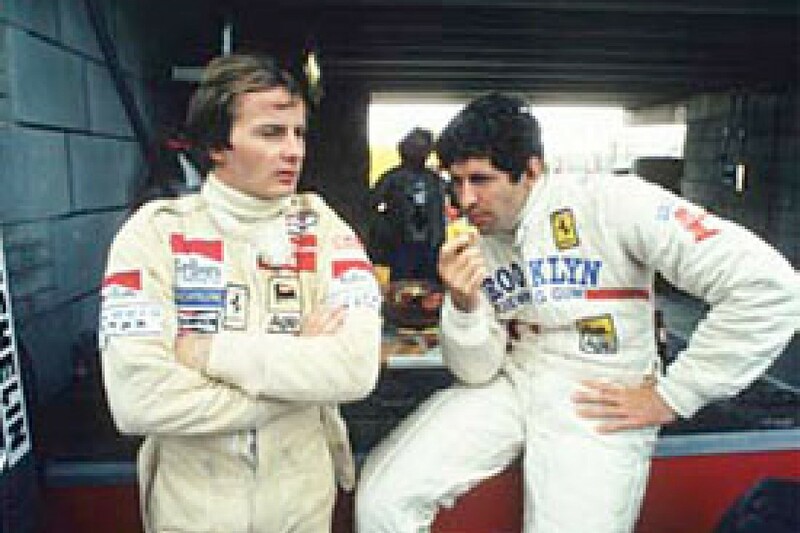 Parked in a corner of the paddock (which Bernie would never allow nowadays, and didn't reckon too much then), it was home for the weekend, and in the evening Gilles would swing by the Ferrari pit, chat to the mechanics, who not surprisingly came to revere him. One night, at the Osterreichring in 1978, I had been working late in the press room, and popped into Ferrari on my way out. Villeneuve's car was up on stands, wheels off, and in the cockpit sat its driver, lost in a world of his own. "I can't help myself!" he said, clambering out. "Here I am - a hick from Berthierville - and this is my car! A Ferrari, with my name on it..."
At Monza a month later, in that same 312T3, Gilles took the lead at the start, but behind him there was mayhem, a dreadful multi-car accident, which would ultimately cost the life of Ronnie Peterson. One by one, the surviving cars pulled up at the end of opening lap, and all the drivers - save one - climbed out, all of them animated, some gabbling about what had happened, what they'd seen. 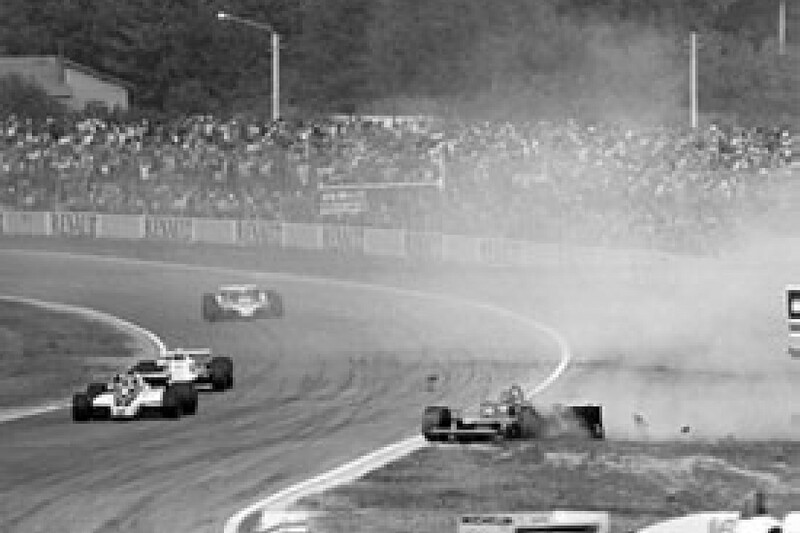 Nearly an hour passed before the wreckage was cleared away, the race restarted, and in all that time Villeneuve remained in his car, not even removing his helmet. "I didn't want to get involved," he said. "Obviously, there was going to be a race eventually - otherwise there'd have been a riot. I looked at the drivers around me, saw their faces, and obviously they were getting more and more agitated. I didn't think that was a good frame of mind to be in at the start of a grand prix, so I stayed clear of it." When they got the signal to go again, Gilles was away like a rocket, and Mario Andretti went with him. Alas, they had slightly jumped the start, and were each penalised a minute: first and second on the road, they were eventually classified sixth and seventh. One year on, back at Monza, Villeneuve dutifully followed teammate Scheckter to the flag. When the Ferraris took over first and second places, Jody was ahead, which meant, according to the team's time-honoured custom, that he was also to win the race. That day Scheckter clinched the world championship, but if Villeneuve had passed him, and won, he would have kept alive his own hopes of the title. Afterwards I asked him if he could have got by Jody. "Of course I believe I could, sure. But I knew the rules of the game, and I'd given my word..."
Were you not, I said, even tempted to run at the front for a few laps? "Not really," he replied. "It would have been false, wouldn't it? And not a particularly nice thing to do, either, because this was Jody's day. I didn't need to show the crowd I was quicker, and just being a good boy. No, I'd never have tried to pass him. "Mind you," he grinned, "I sat there, staring at his engine all afternoon, hoping like hell it would blow!" 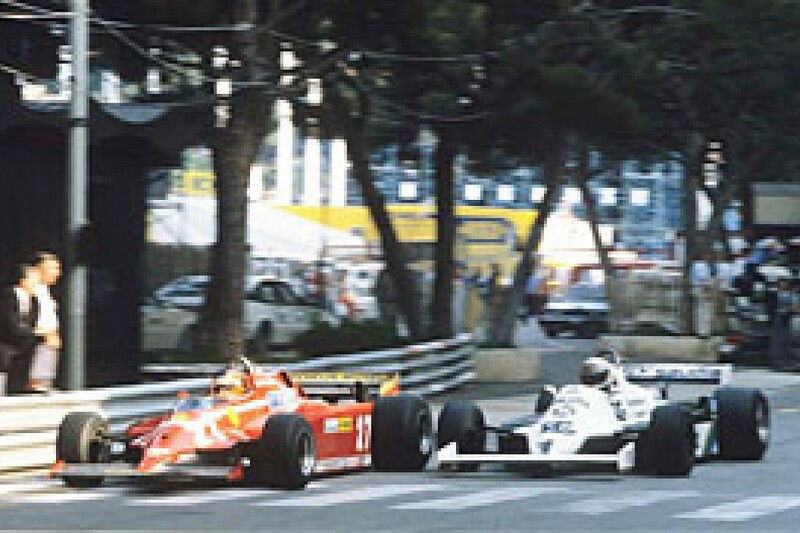 The world championship was decided in his teammate's favour, but Gilles couldn't really have cared less - he well knew he was the quicker of the two, and that was what really counted with him. "Actually," he said, "I'm glad it's over. No more team orders now - I can just go racing! I'm really looking forward to Montreal and the Glen..."
In Canada he finished a second behind Alan Jones's faster Williams, having led most of the way, and at Watkins Glen he won by nearly a minute, despite babying the car through the closing laps, concerned about falling oil pressure. Anyone there that weekend, though, remembers not Villeneuve's victory as much as his performance in a torrential practice session. Conditions were so bad that many drivers stayed in the pits, but Gilles loved driving in the wet. I watched with Jacques Laffite as a burly Ferrari mechanic carried the tiny, helmeted figure across the river in the pitlane, and deposited him, driving boots dry, in the cockpit of the T4. "It's Gilles!" Jacques exclaimed. "He's going out!" And he called out to everyone that they should come and watch. That afternoon Villeneuve was eleven seconds faster than teammate Scheckter, who was himself well clear of the rest. Laffite was plainly moved by the spectacle. "Look at him," he murmured, as the Ferrari skittered by at some unlikely speed. "He's different from the rest of us - on a separate level..."
So he was, but in a very particular way. No one would ever suggest that Gilles was a complete racing driver, in the Stewart or Prost sense of the word: he was too impetuous for that. Races, as we said, were always more important than championships, and that made him a man apart. In 1979 I spoke to Jackie Stewart about the forthcoming season, and he was uncannily on the mark. "I think Ferrari will be world champions this year, and I think in the end it will be Scheckter. There's no doubt in my mind that Villeneuve is quicker, but I don't think he's quite ready to be world champion, whereas Scheckter is. Jody drives conservatively these days - without a doubt the fireworks and the drama will come from Gilles, but I don't think he'll score quite as many points." Which, of course, is precisely what happened. As Scheckter, Villeneuve's teammate for two seasons, put it: "Like no-one else I ever met, Gilles was in love with motor racing. Our attitudes couldn't have been more different. I always felt the axe close to my neck, and my preoccupation was keeping myself alive, but for Gilles it was a romantic thing - he had to be fastest, on every lap, even if it was just a test session at Fiorano." Two years on I talked through the season to come with James Hunt, by then a BBC commentator, and as good an analyst of motor racing as I have known. 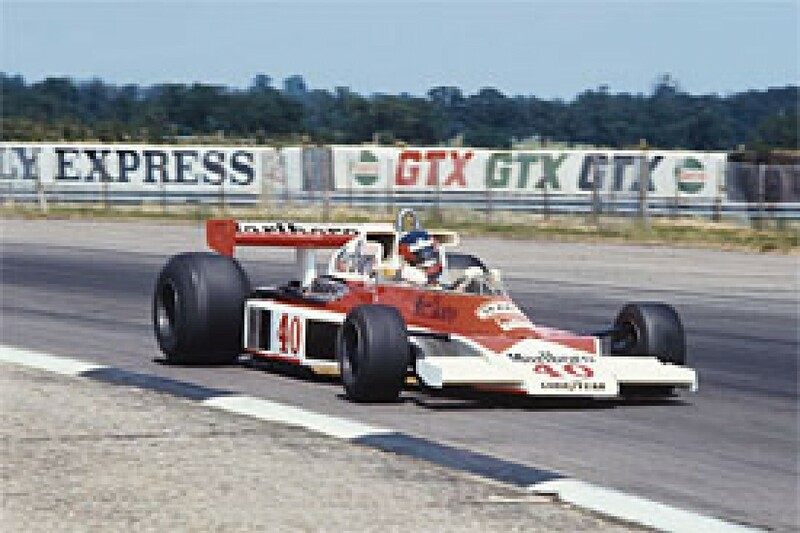 It was after being blown away by Villeneuve, in a Formula Atlantic race at Trois-Rivieres in 1976, that Hunt suggested to McLaren that they should lose no time in signing him. The following year, the team gave Gilles a one-off drive at Silverstone, and stunningly quick he was on his F1 debut. Unfathomably, though, McLaren decided against taking up their option on him for '78, and thus it was that Villeneuve became a Ferrari driver. By the beginning of 1981, this was what James had to say about him: "I think Villeneuve has a brilliant natural talent - greater than anyone else's. I've always thought very highly of everything about his motor racing - his speed, car control, approach, enthusiasm. He lives for motor racing - and that may be his biggest problem. "I worry for him, though, because he does things on the track occasionally which are not in keeping with his personality off it. He has a very intelligent and ordered approach to life, but his performance in the car sometimes belies that. "Of course everyone likes to win races, but the main thing, surely, is to win the championship - or so I always thought. Maybe Gilles really is different in that respect. He's a genuine speed freak, and this works against him. I think he's too much in love with racing to be completely objective about it, and it's a shame for him, because he has massive talent, and undoubtedly he's the out-and-out quickest." All very prescient, but James admitted, too, that the very qualities which militated against Villeneuve's ever winning the world championship also explained why he was worshipped by fans the world over like no one else. As long as Gilles was in a race, you felt the impossible could happen. He was the warrior personified, and the fans loved him because he, of all the drivers out there, was so clearly working without a net. Ferrari's legendary technical director, Mauro Forghieri, put it best. "Gilles," he said, "had a rage to win..."
In the course of his short F1 career - just four and a bit seasons - Villeneuve had an unusual number of accidents, in part because he was invariably pushing his often recalcitrant Ferraris along faster than they cared to go, but when the need arose he could be as disciplined as anyone. In the space of a fortnight, in the spring of '81, he won twice. At Monaco he somehow qualified the lumbering 126CK turbo on the front row, and when Jones's lithe Williams failed in the race, Gilles was on hand to pick up the win. That car, I'll swear, was sideways for two hours, as I mentioned to him afterwards. He laughed, then responded vigorously. "Jesus Christ, let me tell you, a Ferrari driver who didn't get sideways these last five years would not have been a racing driver! "I think I can say honestly," he went on, "that I've never ever stroked in my racing career, and I'm proud of that. Even running 10th in a bad car, you can have fun - but not if you're stroking. Some of the guys I see out there... I wonder how they can accept their pay cheques..."
Two weeks on, Villeneuve won again, at Jarama, and this time the Ferrari - which he described in qualifying as "a big red Cadillac" - was rarely out of line, for this race was an exercise in containment. At his heels for most of the race were Laffite, John Watson, Carlos Reutemann and Elio de Angelis, all in much nimbler cars on this tight track. Gilles had a power advantage, but Jarama offered little opportunity to use it: one slip - and he would have been fifth. It never came, and Brabham technical director Gordon Murray, watching out on the circuit, described Gilles's drive as "the best I've ever seen - by anyone. That Ferrari was terrible, but Gilles was perfect. Today a driver won, in spite of his car." After the race, Wattie went on about "that bloody Ferrari holding everyone up", and when I told Gilles, his face lit up. "He's absolutely right," he said. "I was getting quite embarrassed about it! "In fact," he went on, "I couldn't understand why they didn't pass me. Ask them what they were doing for the first 65 laps while I was running flat out. After all, three of them were ahead of me on the grid..."
Although Villeneuve got satisfaction out of the day - a win was a win, after all - he conceded he hadn't much enjoyed the race. "It was a grind," he said. "For me the perfect race would be when I had a problem, went to the pits, caught everyone - and took the lead on the last corner of the last lap..."
A romantic thing for Gilles, as Scheckter said. And this went, pleasingly, with a salty sense of humour, and only the most tenuous grasp of public relations. When Ferrari introduced the 208GTB turbo road car, as a tax break for potential owners wishing to keep under the 2-litre limit in Italy, I asked Villeneuve what he thought of it. He hesitated before answering: "Well, I don't really want to say anything about it." "Well, because I don't like it! What's the point of it? We've already got the 308 - why don't they turbocharge that?" 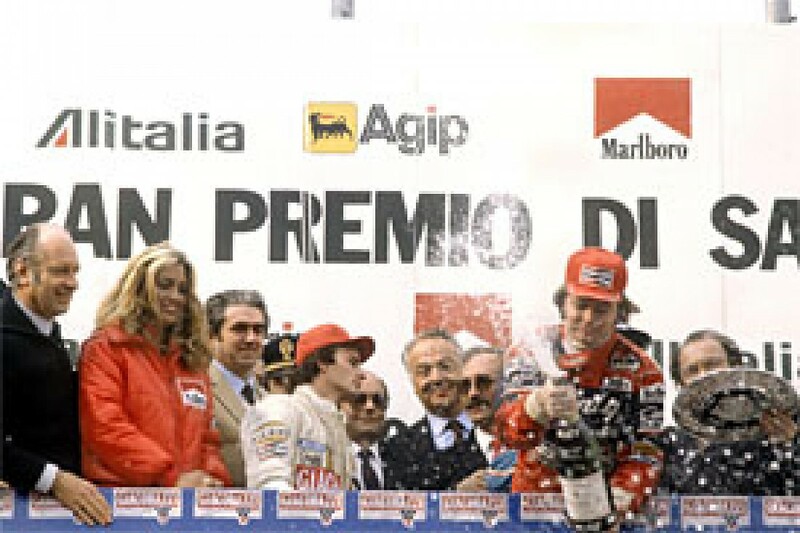 The circumstances behind Villeneuve's death at Zolder in 1982 - not least the duplicity of teammate Didier Pironi, who 'stole' victory at Imola, the previous race - have been too well documented to bear repetition here. Suffice it to say that a guileless man was duped, and his anger at the betrayal was such that he went to Zolder in absolutely the wrong frame of mind. A few weeks later, at Montreal, newly renamed the Circuit Gilles Villeneuve, Pironi took pole position. "I want to dedicate this to Gilles," said Pironi over the PA, "because I think we all know if he'd been here, he would have been on pole." I happened to be talking to Rosberg at that moment, and Keke was never a man to mince words. "Yes, and if it hadn't been for him," he said, "Gilles would have been here..."
It was what many of us felt. The first full interview I did with Villeneuve was, ironically, at Zolder in 1978, his first full season in F1. Motorhomes were new in the paddock, and Ferrari didn't yet have one, so we sat in the truck. You arrive here with a reputation for being fearless, I said. "No," he replied at once, "that's not true. I'm frightened of the unknown, like anyone else. But I don't have any fear of a crash. No fear of that. Okay, on a top-gear corner I don't want to crash - I'm not crazy. But I never think I can hurt myself - it seems impossible to me - and if it's near the end of qualifying, and you're trying for pole maybe, then I guess you can squeeze the fear..."
In light of what happened in the same place, four years on, those words chill now - indeed, so many of Villeneuve's remarks fell into different perspective after his death. But at the time they were made calmly, and with freshness; no matter how much bravado he may have brought to his work, there was none in his manner. More than anyone I have known - yes, including Senna, including Schumacher - he was the racing driver pure, with a genius that was only his. The morning after Gilles's accident - race morning - there was a gap in the line of transporters in the paddock, for Ferrari had left overnight. Niki Lauda was much affected by what happened: "Gilles was a perfect racing driver, I think. He had the best talent of all of us. In any car he was quick - he didn't drive for points, but to win races. I liked him even more than I admired him. He was the best - and the fastest - racing driver in the world." "I can't remember when I got interested in racing," Villeneuve said in that first interview, "but I always loved speed. My father used to drive very fast, and when I was seven years old, I used to sit on his knee, and steer. I can remember telling him to go quicker, because we had to pass the guy in front..."